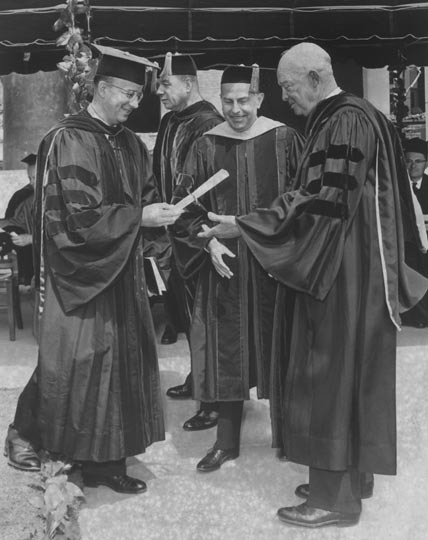 UC President Clark Kerr and UCLA Chancellor Franklin Murphy award honorary degree to former President Eisenhower, April 4, 1963. I was walking across the Campus at UCLA and saw some people in Caps and Gowns standing on the steps of an old college building. I walked over and actually shook hands and congratulated Dwight Eisenhower. He thanked me and was very cordial. It was one of the most memorable moments in my life.